2.0 Box Office Day 2 Hindi: The Hindi version of 2.0 had a decent hold on Friday as 18 crore came in. This is after Thursday had brought in 20.25 crore. Of course had the numbers stayed on to be over 20 crore on the second day as well then it would have indicated a guaranteed jump on Saturday and Sunday. However for now it is going to be a wait and watch period since the real test is yet to begin. The film has collected 38.25 crore so far and if one considers the fact that Saturday and Sunday are still remaining, it is a good accumulation. Yes, an extended weekend of 100 crore would have been the real deal but that won’t be the case now. Still, considering the fact that this is basically a South film that has been dubbed in Hindi, the numbers are still next only to the Baahubali series. Unless there is an unpleasant surprise in the coming two days, a lifetime number of over 100 crore is definitely in the cards. This would make it Rajinikanth’s first ever film entering the 100 Crore Club in the Hindi language. As for Akshay Kumar, he would continue his good run of delivering centuries as his last release Gold too had went past the 100 crore mark. 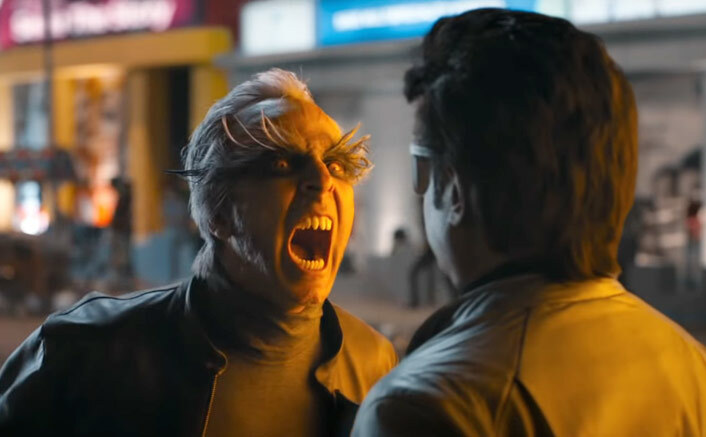 2.0 Box Office Day 3 Advance Booking Report: Heading For A BLOCKBUSTER Saturday! The post 2.0 Box Office Day 2 Hindi: It Has A Decent Hold On Friday! appeared first on Koimoi.